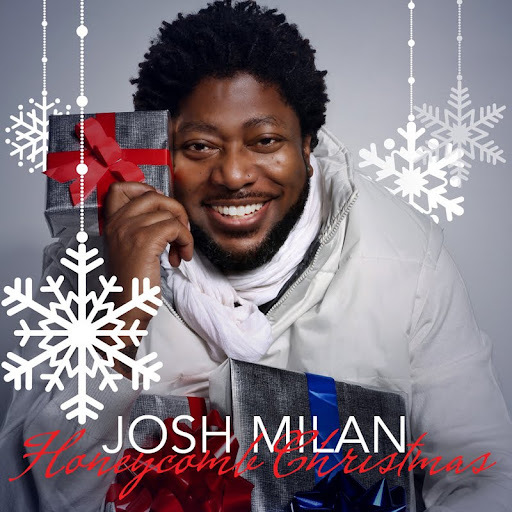 Josh Milan's 'Honeycomb Christmas' FREE album available now! For me Christmas means so many things. I'm well aware that although we don't know the actual date that Jesus Christ was born, Dec. 25th is the chosen date to celebrate his birthday. I grew up in Brooklyn NY. And as a child, Christmas meant sweet potato pie, soul food, and the most important thing of all, TOYS! It had to be the most exciting day of the year for me. We lived in the projects and didn't have much. But I knew I was going to get at least one toy. And there was a Salvation Army kind of a place in the Brooklyn Navy Yard that gave gifts away to kids. And then there was Macy's on 34th St. The window displays were always super laid out. The puppets that moved, the scenery, the smell of pine, all of the big boxes, the colorful gift wrapping paper, and the people seemed to be happier around this time. It was the absolute best time. It seemed to snow every Christmas back then. Snow ball fights was our thing. Christmas carols became my favorite type of music. The songs always brought me to that happy place. I remember watching "Merry Christmas Charlie Brown" with my family and hearing the beautiful song "Christmas Time Is Here." The entire television special was filled with musical gems. The Vince Guaraldi Trio is the band responsible for that soundtrack. It remains in my top 5 favorite recordings of all time. It's the reason why "What Child is This" made it on this project. I strongly believe in the spirit of Christmas. And after the recent disaster we've witnessed in the east coast with Hurricane Sandy, I believe that healing is needed. It's our hope that this project will not only spread some Christmas cheer in your life, but will inspire you to spread that same spirit, and cheer in someone else's. I don't know exactly when Jesus was born, but I'm so glad that he was. Happy Birthday Jesus, and Merry Christmas to you all. Written by John Henry Hopkins Jr.
All songs arranged and produced by Josh Milan for Honeycomb Music. Sandra St. Victor's vocals recorded at Strategic Soul Ventures Studios. Holland by Sandra St. Victor. Recorded at Honeycomb Studios, East Stroudsburg, PA by Josh Milan. Thank you Jesus. My mother who's been with the Lord since 2006. But I still thank her for making sure Christmas was exciting as possible for her 3 children. My lovely wife Gloria, Adam and Sarah Cruz, Lamone, Maritri Garrett, Dawn Tallman, Cinnamon Brown, Sheree Hicks, Sandra St. Victor, Honeysweet, the Honeycomb Music Nation, Melba Searcy, Tinetta Bell, all of myTwitter and FaceBook friends, Roland Instruments and Elliot Eicheldinger from Yamaha Instruments(still waiting on your call), and write your name here____________________.